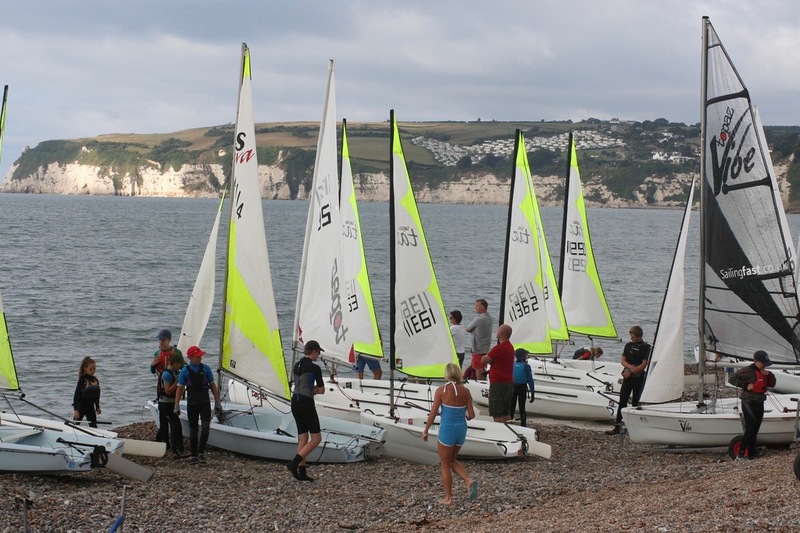 The programme for this year's Cadet Week will have the usual mix of dinghy sailing, 'Big Boat' experience, games and social events. The outline programme will be posted on the website soon. Our RYA qualified dinghy instructors (DIs) will be leading the dinghy sailing sessions and they will aim to help the cadets to develop their skills using the RYA methods. Whilst we hope to have great summer weather enabling us to sail from the beach, we plan the programme to make the most of the tides in the river if the weather is unkind. Guardians: A parent or an authorised guardian must accompany each cadet to supervise their child and to help on the shore or in a support boat. We will ask parents to sign each Cadet both IN and OUT for each session. Costs: There will be a charge of £10 per cadet per day for the cadet dinghy sailing days to cover the cost of snacks, which will be provided mid-morning, and support boat fuel etc (no charge for the Games or Big Boat Day). Facilities: It is important that we leave the changing facilities clean and tidy so there will be a requirement for parents and cadets to participate in a cleaning rota for the changing rooms during the week. Communications: We will start the day with a daily briefing, and end the day confirming the plan for the next. We would encourage all Cadets and Parents to attend both. We will also have a Cadet Week WhatsApp group for up to date information, programme reminders and updates. We will post the programme and updates on the AYC website so do keep checking there for the latest information. Support Boat helms and crew: We will need helms and crew for up to 4 support boats each Cadet dinghy sailing day. Carol Evans will be coordinating the rota so please do volunteer if you are available. The names and mobile phone numbers of anyone who wants to be added to the Cadet Week WhatsApp group. Cadet Week last year was extremely popular and enjoyed by all who attended. We hope we will have places for everyone who wants to come this year but if we are over-subscribed we may have to allocate places on a first come first served basis. So don't delay, book your place as soon as possible. If you have any questions please do not hesitate to ask Carol or Fran by email at sailing@axeyachtclub.co.uk.